John Rutherford Cleghorn was born in London on 2nd April 1914. He was commissioned into the Royal Fusiliers in Aug 1934. War broke out while he was home on leave from India and he held a staff post with the BEF in France. 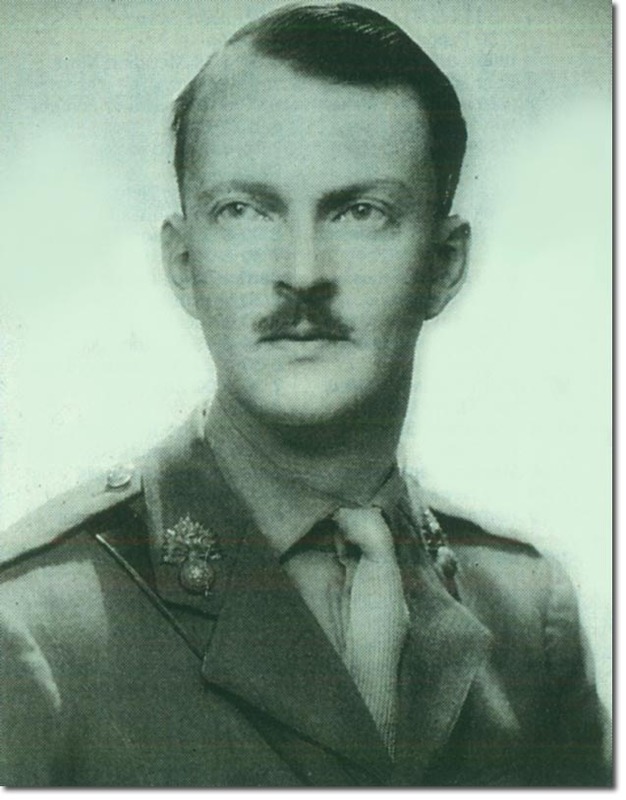 After commando training and being moved around from Northern Ireland, Cape Town, Bombay and Kirkuk, he eventually joined his regiment in North Africa and saw the surrender of the Axis forces in Tunis. When they invaded Italy the Fusiliers suffered heavy casualties and, with the rank of major, he was commanding the 8th Battalion RF and a battalion of the Ox and Bucks LI. He was mentioned in dispatches for his conduct in the fighting at Monte Cassino, and was in command of the 9th Battalion as lieutenant-colonel in early 1944 when they went into the Anzio bridgehead. They fought at the Garigliano River and broke through Kesselring's Gothic Line with the 56th Division. On 5th Sep 1944 Cleghorn's battalion were advancing towards the Rimini-Bologna road when they found a strong force of Germans dug in on a feature which dominated the surrounding country. Although their presences was a surprise, He launched an immediate attack, seizing the ground and killing and capturing a large number of the enemy. But daylight revealed that his left flank was exposed, so that the Germans had a dominating view of their position. For the next 5 days the Fusiliers were subjected to heavy shell-fire and repeated counter-attacks, but under Cleghorn's skilful leadership they held their ground, defying all attempts to dislodge them. Disregarding enemy fire, he made regular visits to the forward companies, cheering and steadying his men. For this action he was awarded the DSO. They continued in the advance, crossing the Po, where they fought alongside Italian partisans. There was hard fighting for the rest of the Italian campaign and they went on to Trieste, and in May 1945 were in Yugoslavia to prevent the rival groups fighting each other. After the war Jock Gleghorn transferred to the 16th/5th Lancers, in 1951, where he was better able to indulge his passion for horsemanship. He hunted, played polo, show-jumped and raced. He relinquished command in Nov 1954 and retired from the army. He took up farming in Herefordshire and was chairman of Ludlow racecourse. He died on 19th June 2004, survived by his wife, Joan who he married in 1941.